Our first ever STEAM Fest was a great success. The ABC and local community came together in a full scale celebration of STEAM. The projects were wonderful, and the energy crackled as the whole school, whole day event took centre stage across 3 different venues. 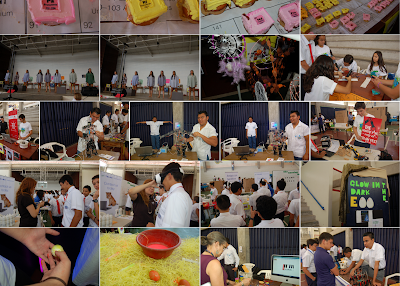 The level of engagement and excitement was paramount, as student and staff presenters, and creative centre leaders from our school, as well as from around El Salvador, worked and interacted with students, staff, visitors and local dignitaries. Here are some of the preliminary photos from the event. The organisers of the event issue a huge thank you to the hundreds of people that made it all possible! We now look forward to STEAM Fest 2017.